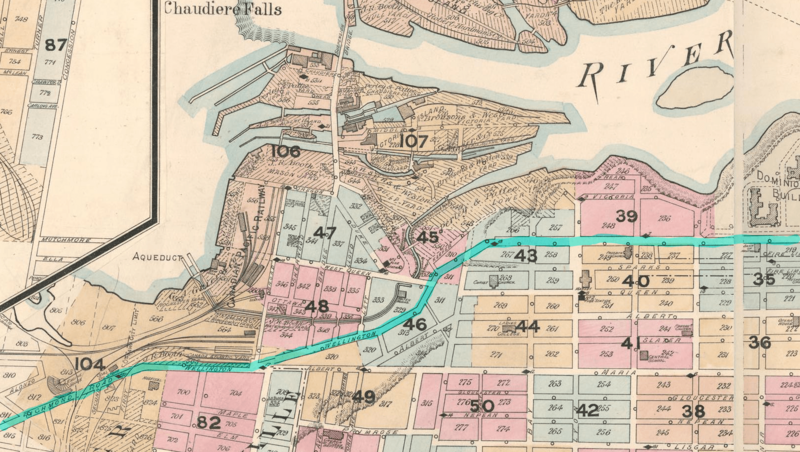 Map: how Ottawa’s two Wellington Streets were once connected. On Twitter today, side effects I was drawn into another discussion of an old obsession of mine: the route of Wellington Street in Ottawa. Or more specifically, the question “WHY ARE THERE TWO WELLINGTONS?” Tourists and residents alike are confused by the presence of two prominent – but not physically connected – streets bearing the name “Wellington”: the Wellington Street downtown, and the Wellington Street West that runs through Hintonburg and Wellington Village. In addition, there were/are lots of little remnant bits of road called “Wellington” that still appear on maps if not road signs. So, intrigued, I did what I usually do when a geeky local history question bugs me, I led a pair of Jane’s Walk Tours in 2012 and 2013.